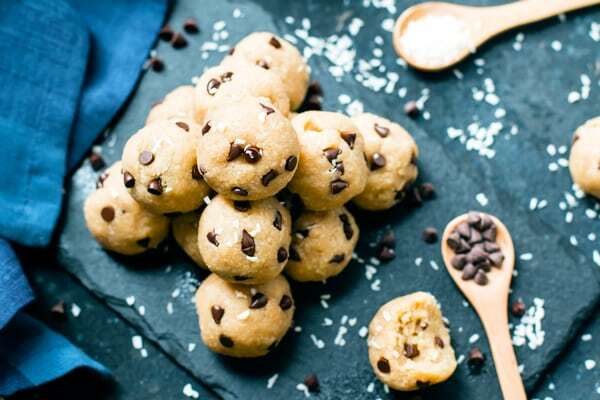 Appease your inner cookie monster with these healthy chocolate chip cookie dough bites. 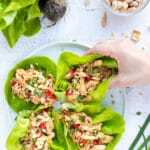 These no-bake, raw, energy bites are crazy simple to make and are vegan, gluten-free, dairy-free, vegetarian, and can easily be made Paleo! About this time two years ago I decided to stop pursuing a business that I had been developing for the previous 8 months. My ultimate business goal with “Unbaked” was to get the no-bake, vegan, Paleo, and gluten-free healthy bites into grocery stores across the country. What I had not realized, however, was how much working capital, blood, sweat, and hundreds of batches of the same three recipes that would be made. 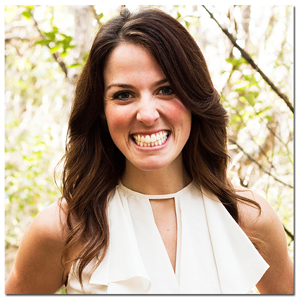 I tried to keep the blog (at that point – Gluten Free with L.B.) updated on a regular basis, but running a small catering/distribution business ultimately took over. After 8 months of going down that road, I soon realized that food distribution was not the path for me. 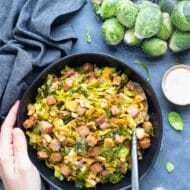 I absolutely LOVE creating recipes, but what I love most… is creating NEW recipes that I can share with all of you lovelies! Our good friend Nitin was the first to purchase a box of “Unbaked” goods when the business first launched. He is also the friend who often stops by the house to see if I have anything extra for him to taste test. It’s good to have friends who help you eat all of your not-so-perfect test batches. His birthday was a few weeks ago and I decided to treat him and our group of 8 to some of these delicious and healthy chocolate chip cookie dough bites. 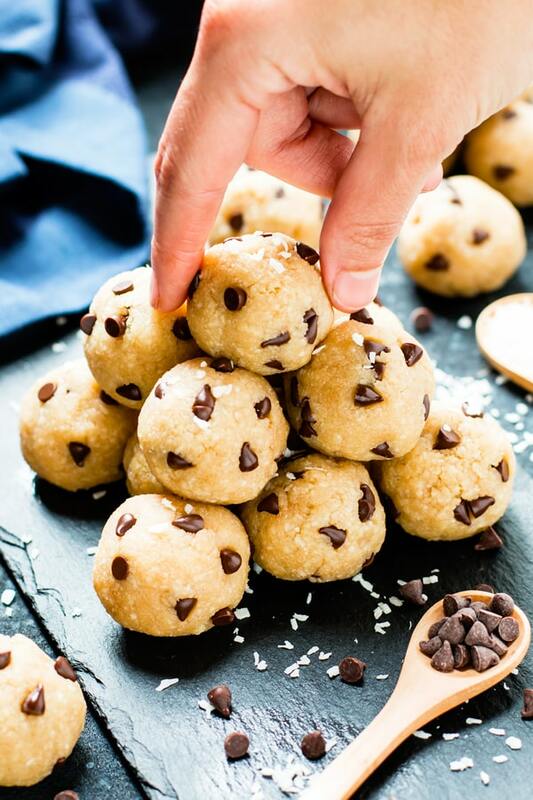 What’s So Awesome About these Healthy Chocolate Chip Cookie Dough Bites? Only 7 ingredients are needed. They’re ready in under 30 minutes <– Less time than normal cookies! Your inner cookie monster will be happy. They are the most addicting gluten-free, Paleo, and vegan treat you probably have ever tried! 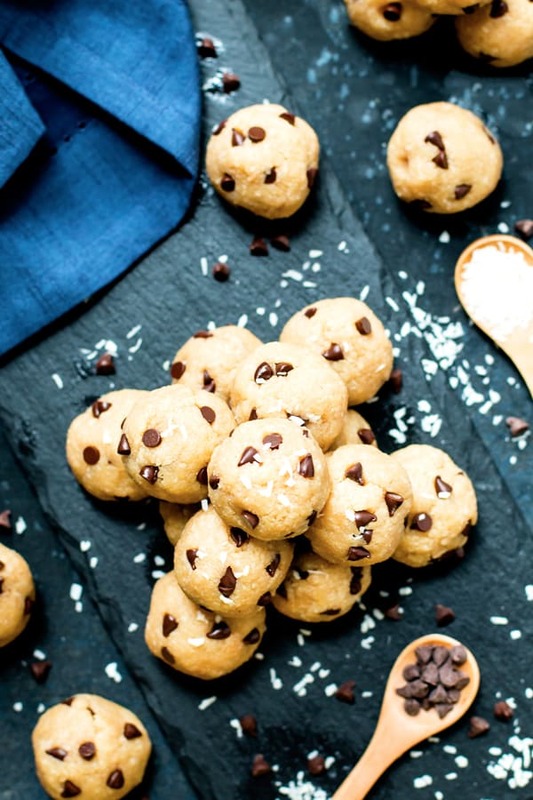 How Can You Evolve these Healthy Chocolate Chip Cookie Dough Bites? Use cacao nibs (not real chocolate chips) for a completely refined sugar-free and Paleo treat. Add additional nuts (pecans, walnuts, almonds) for added texture and healthy Omega-3s. Use Himalayan sea salt for an unrefined and uncontaminated salt alternative. 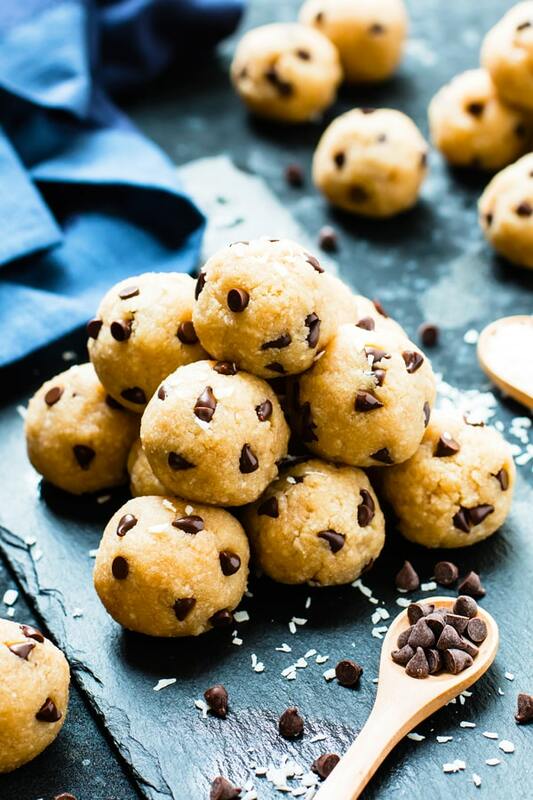 Healthy chocolate chip cookie dough bites are crazy simple to make and are vegan, gluten-free, dairy-free, vegetarian, and can easily be made Paleo! In the bowl of a food processor combine almond and coconut flakes. Process for 1 minute. Add maple syrup, vanilla, salt, and coconut oil. Process for one minute or until mixture begins to stick together. Mix in cacao nibs (or chocolate chips) by hand. Scoop a 1 ½ - 2 tablespoon-sized ball of “cookie dough.” Squeeze tightly and roll into a ball. This part gets rather oily, so be sure to have a paper towel handy to wipe off the excess between rolling each ball. 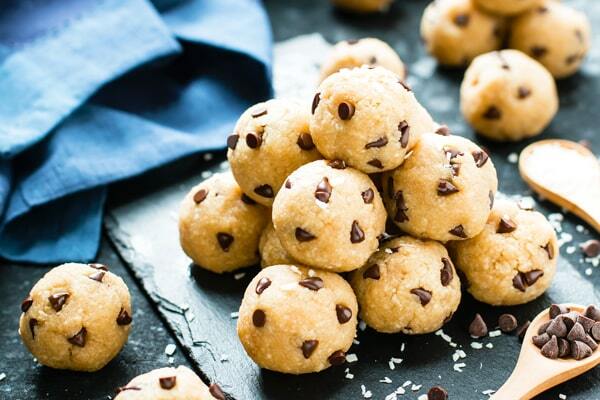 Refrigerate cookie dough bites between servings. 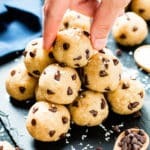 Want more recipes like these Healthy Chocolate Chip Cookie Dough Bites? 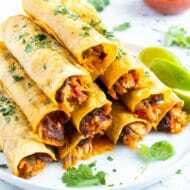 These look super delicious, Girl! I am so glad you’re sharing them cuz now I’m inspired to make them as soon as possible. Have a great weekend! 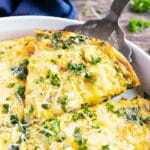 I love easy bites recipes like these! Yum, yum, yum! I have a whole bunch of coconut flour & no almond flour. And also no coconut flakes. Do you think I cold substitute almond flour & coconut flakes for coconut flour? Thanks for the idea, this pregnant mama of soon to be 4 needs healthy cookies! Hi Heather!! 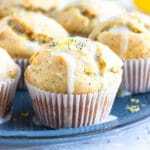 Unfortunately, coconut flour and almond flour are not easily interchangeable. The recipe will definitely come out the best if it is made as written. 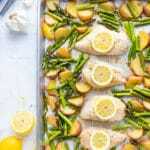 Are the nutrition facts listed for one bite or two? Hi Erin! They are listed for one cookie dough bite. I love this!!! 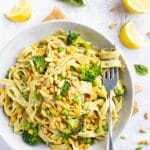 Thank you very much for sharing this recipe, my granny who can’t take hard food tried this and asked for more! 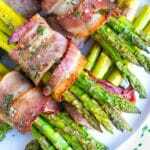 You’re heavensent thank you soooo much for the amazing recipe ???? 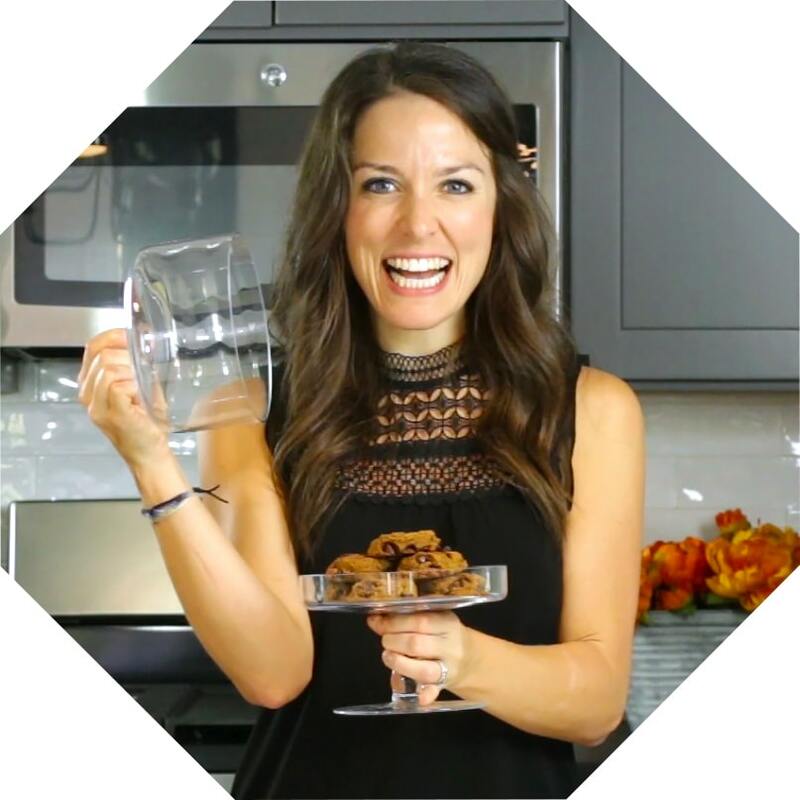 may in ask what food processor are you using in the video for Healthy Chocolate Chip Cookie Dough Bites? Mine didn’t seem strong enough to handle this. Yay!! Thank you so much for letting me know. And yes, you definitely need a pretty heavy duty food processor. 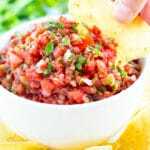 The one I have is an 11-cup Cuisinart Food Processor (<--This link is an affiliate link!) Any processor around that size should work great! These turned out great. Tasted a like a macaroon with chocolate chips :). I only omitted the coconut oil as I found there was enough from the unsweetened coconut flakes once mixing. I even dabbed some extra oil away with a paper towel after combining. Perfect! Thank you. I am obsessed with these and my non vegan friends also! I replaced the almond flour with oat flour and added a bit of raw cacao powder to the mix instead of chocolate chips. 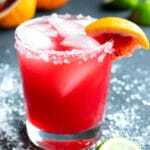 Anytime I have a party I have to make these.